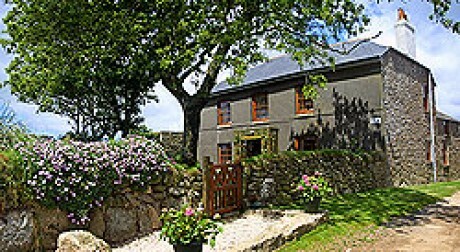 Trereife is a beautiful Queen Anne manor on the outskirs of Newlyn, Penzance. The house itself is grade two star and has extensive gardens. Situated close to Sennen beach, it is a unique property in a unique location. The Smugglers sits in an elevated position overlooking Newlyn harbour and Mount's Bay. We are one mile from Penzance and Mousehole and eight miles from Land's End. Quality suite and room accommodation for those wishing a comfortable quiet break. 4 Star rated accommodation in a listed, 17th century farmhouse, SILVER AWARD Accommodation. Five Star Silver Award accommodation. We welcome you to share our lovely granite farmhouse home where we offer the choice of three warm ,stylish,very comfy rooms together with the spacious grounds for you to use at your leisure. Small friendly 4 Star Bed and Breakfast situated on the Promenade. Duporth Guest House is an elegant Victorian building set in a conservation area just off Penzance Promenade. We have magnificent uninterrupted sea views across Mounts Bay and the small fishing village of Newlyn.